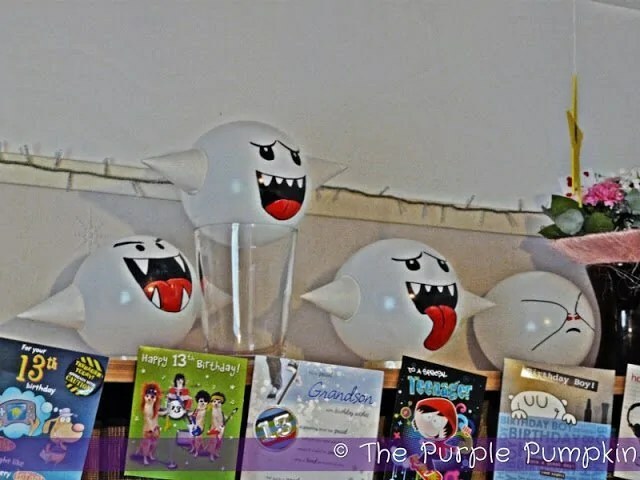 Another idea I discovered whilst researching my Sunday Inspiration post for my son’s Nintendo themed birthday party was for Boo balloons. I L.O.V.E how these turned out! Another simple idea that is so effective for this theme. To make them, you will need white balloons, marker pens and some white cones. You can make the cones out of white paper, or buy some ready made in the form for drink dispenser cones…which I just so happened to have as I bought a pack for my wedding to use as confetti cones back in 2009. Start by blowing up a balloon – keep it in a roundish shape rather than over-filling with air and making it egg shape. Then draw on the face with the markers. I did 4 different faces for Boo – one smiling, one with his tongue hanging out, one with an evil grin and the last one hiding his face! I then came up with the idea that you could also make Kirby balloons…I did buy pink balloons in preparation for this, but in the last minute rush to get everything ready on the day, I completely forgot about them! So here’s a Kirby balloon I made up today…to finish off, I would make some red feet from card and stick them to the bottom of the balloon. 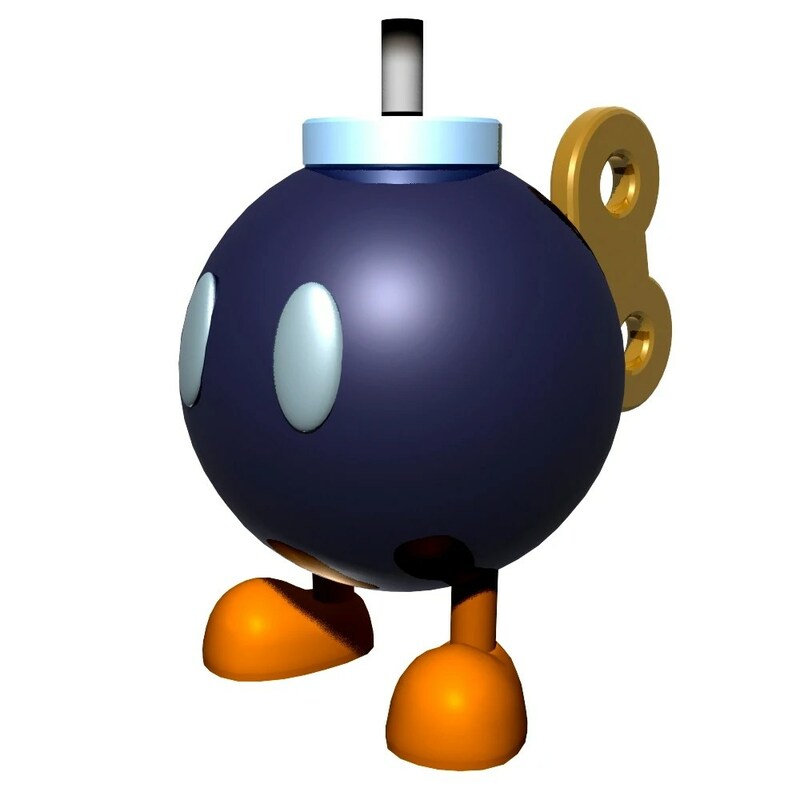 You could also make Bob-Ombs with black balloons. To get the whites of the eyes, I am thinking Tipp-ex correction fluid, or even silver markers. To make the fuse on the top, some card formed into a ring and taped on top with some thick string. Yellow cardboard feet and a wind-up key at the back. And I think Goombas would also be possible! With brown balloons, blown out into pear shapes and the face drawn on with markers.